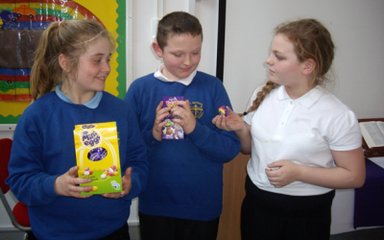 We link very closely with Year 1 to ensure consistency and to continue to move the children’s learning on. In our classroom you will find a happy learning environment where all children are encouraged and engaged in their learning in order to reach their full potential. Our Catholic Faith is very important to us and we strive to ensure that we live out our Mission to the best of our ability every day. 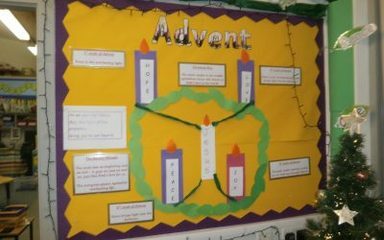 Our faith permeates all that we do in school both through our lessons and how we behave and respond to each other in our daily lives. In Beech class we are expected to read every day at home and in school to improve our fluency. We also complete homework each week to improve our comprehension skills and to help us learn key math facts like number bonds to 10, 20 and 100 along with the 2, 3, 4, 5 and 10 times tables. Our home readers are changed whichever day they are handed in. Children should be reading at least 2 books a week. We have PE on a Monday and Friday. Miss Miller is our teacher in year 2/3. 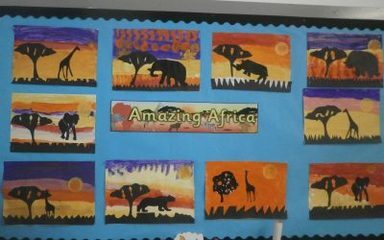 Year 2 had a great time creating African Sunsets. 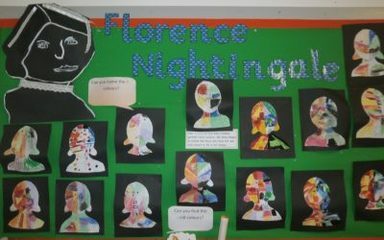 We used amazing colours to create the background and then added our silhouettes. Year 2 had great fun designing and making their superhero outfits. 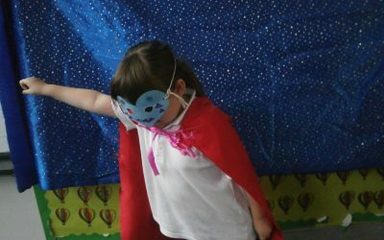 We zoomed around the school and acted out being heroes and heroines.